We've picked the cheapest caravan holiday park from each of our guides to the best caravan parks in the UK. Some of the cheap caravan parks have basic facilities, whilst others have indoor swimming pools and family entertainment. We looked at the August price and found a range from about £300 to £800 for a family of four staying for a week. We've included caravan holiday parks in 10 of the most popular UK holiday resorts including Dorset, Norfolk, Skegness in Lincolnshire, The Lake District and Cumbria, Cornwall, Devon, Blackpool in Lancashire, Yorkshire and Wales. Obviously you can get a cheaper caravan holiday in the middle of January, but who wants that? I mean, really? 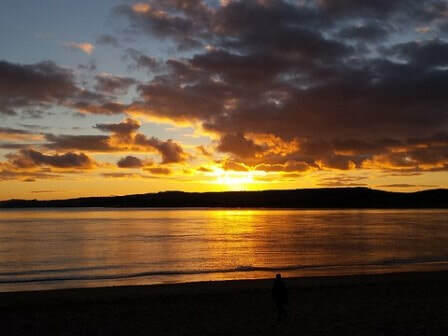 We've generally found Cornwall's holiday parks to be more expensive than those in the North of England, but Hoburne Doublebois bucks the trend - and it gets great reviews too (4.5/5 on TripAdvisor). The main downside is that it isn't by the sea, but it is well placed for day trips to busy places like Tintagel and Padstow. The nearest beach is Looe which is about a 20 minute drive, so not exactly a long journey. If you want to visit the Eden Project, it'll take about 30 minutes in the car. Facilities onsite are pretty decent, though there isn't a restaurant or swimming pool (the one shown on the video is a different Hoburne park). However, it does have tennis, a pool table, nearby fishing, a nature trail, fitness suite and an adventure playground. If you plan to spend a lot of time onsite then you would be better looking at a park such as Hendra Holiday Park or Perran Sands which are bigger. Bear in mind that in our price comparison for Cornwall holiday parks, those two sites cost £400 or £500 extra for a week than Hoburne Doublebois. ​Holiday park reviews don't come much better than those for Cheverton Copse on the Isle of Wight, which was averaging 5 out of 5 on TripAdvisor when I checked. The park doesn't have a huge amount onsite. There's no swimming pool, although nearby Sandown has a public pool. There's a games room, play area and clubhouse. Cheverton Copse isn't walking distance to the beach but it's only a short drive to the resorts of Sandown, Shanklin or Ventnor. The Isle of Wight is pretty small, so anywhere is achievable as a day trip, such as yachty Cowes, Queen Victoria's Osborne House or The Needles and Alum Bay. The cheapest Lake District/Cumbria holiday park in our guide to the area's 10 best caravan parks was Stanwix Park. It'll take you about 30 minutes to get to the edge of the Lakes and up to two hours to get to Windermere on a busy day, but it makes a cheap base for exploring. It's also near to a shingly beach at Silloth, which is OK for a walk. If you want somewhere actually within the Lake District National Park then Avon Wood Holiday Park was the cheapest option we found. Stanwix Park meanwhile has plenty to keep you occupied onsite, much of which is included in the price. There are indoor and outdoor swimming pools, an adventure playground, soft play area, kids' clubs, gym, tennis, 10 pin bowling, pool and snooker. Price: £469 for a family of four for a week in a one bedroom 'Coniston' apartment in August 2019. Haven's Marton Mere is the most expensive caravan holiday park on this top 10, but we've included it because it's one of the cheaper options in popular Blackpool. Onsite there is loads to do, including an indoor swimming pool, sports courts, play areas and places to eat. There are also some extra activities you can pay extra for. It will take you about quarter of an hour to drive to the seafront and famous Blackpool Tower. 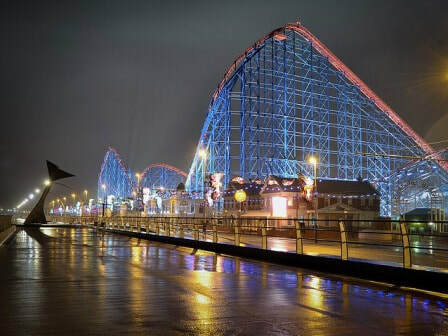 See our 5 best holiday parks in Blackpool guide for more options. Price: £909 for a family of four staying in a standard caravan for a week in August 2019. North Devon's a good choice for a family holiday if you are looking for choppy waters at some lovely sandy beaches. The cheapest caravan park in our guide to Devon's best holiday parks was Manleigh Park, near to Ilfracombe. Its facilities are limited to a play area, but it is near to Exmoor Zoo, Lynton and Lynmouth among other pretty places. Reviews are decent, averaging 8.5/10 when we checked. 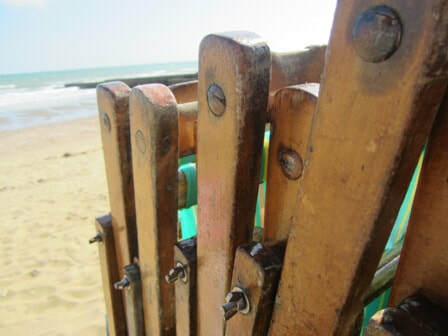 Other cheap options in Devon include Beachside Holiday Park and Surf Bay Holiday Park in Westward Ho! which both get good reviews. Again, facilities are basic but they make a cheap coastal base. Seadown Holiday Park in Charmouth, Dorset is a basic holiday park in a great location along the Jurassic Coast. Don't come here expecting to spend the week onsite (there's no swimming pool or bingo caller) but it's one to consider if you want a cheap caravan holiday near to a nice stretch of coastline. Reviews are very positive, averaging nearly 9 out of 10 when I checked. It's not too far from Weymouth, which is a bucket-and-spade type resort, or it's less than an hour to Exeter which is a pleasant city for a bit of shopping. See other options in our guide to 10 of Dorset's best holiday parks. Price: £610 for a family of 2 adults and 2 children in August 2019. It was actually a Dorset Sunset caravan, which is a six berth. Norfolk's roads can be pretty slow, but you're best chance of getting a feel for the whole county is to stay somewhere around the middle. Norfolk Broads Country Park will give you a cheap base, not far from Norwich. You'll be able to get to Cromer or Great Yarmouth in about 45 minutes. Don't come here expecting non-stop family entertainment and evening singalongs. There aren't facilities onsite, but one to consider if you can't think of anything worse than a week playing bingo. You'll need a car for a family holiday at Tollerton Holiday Park. It doesn't have a lot on site apart from fishing lakes, but it still gets very strong customer reviews of about 9 out of 10. It's one to consider if you don't mind a bit of drive - York is about 25 minutes away, or the edge of the Yorkshire Moors is about 15 minutes away. You won't find a family caravan park much cheaper than The Chase Caravan Park in Ingoldmells. OK, so there's not much to do onsite, but it's a bargain priced base for a holiday in the Skegness area. Reviews are reasonable, averaging around 3.5 or 4 out of 5. If you can afford a holiday park with better reviews, read our Skegness holiday park guide. No idea how you pronounce this one, but Pencnwc Holiday Park is well equipped and well located for exploring the Wales coastal path. There's a games room, clubhouse with entertainment, children's club and an indoor swimming pool which will be a welcome shelter if the weather isn't any good. It's not far from New Quay which is a pretty little seaside town (obviously a fair bit smaller and quieter than Newquay in Cornwall). The Vale of Rheidol Railway is nearby and gets really good reviews (4.5 out of 5). Steam engine fans called Nigel and Brian will get overwhelmed and need a lie down in their caravan. Despite being the cheapest Wales caravan park in our top 10, Pencnwc Holiday Park still gets great reviews, averaging 4.5 out of 5 on TripAdvisor and just over 9 out of 10 on Hoseasons. For our (limited) price comparison, we picked the cheapest holiday park in each of our guides to the best holiday parks in each location. So, there are probably some cheaper holiday parks out there, but these are the ones which are good enough to make it into our guide. We looked for the cheapest accommodation we could find for a week in August 2019, for a family of four.